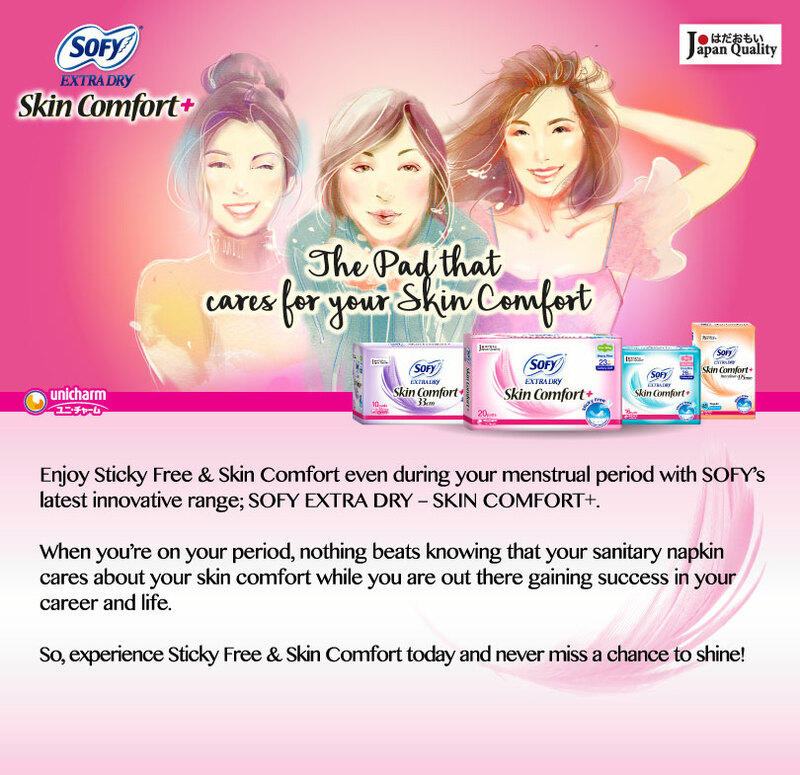 Stay relaxed and enjoy total skin comfort for the best irritation-free period with SOFY Extra Dry. Just #DropTheDiscomfort today. Enjoy Sticky Free & Skin Comfort even during your menstrual period with SOFY’s latest innovative range; SOFY EXTRA DRY – SKIN COMFORT+. When you're on your period, nothing beats knowing that your sanitary napkin cares about your skin comfort while you are out there gaining success in your career and life. So, experience Sticky Free and Skin Comfort today and never miss a chance to shine!